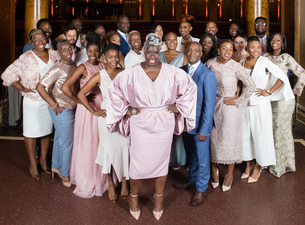 The Kingdom Choir, who became a household name after performing at the HRH Prince Harry and Duchess of Sussex Royal Wedding, have announced a UK headline tour to mark one year since the occasion. The tour, which launches on 30 April 2019 in Sheffield, includes a performance at London’s iconic Royal Albert Hall exactly a year to the date of the wedding. Following their performance at the Royal Wedding earlier this year The Kingdom Choir went on to make high profile appearances on the likes of Songs Of Praise, The One Show, Good Morning Britain and many more. The choir consists of seasoned male and female vocalists, chosen for their high quality delivery of choral meets gospel. They’ve been featured in the film Tube Tales, the TV series Maisie Raine, an Orange advert, and alongside the BBC Philharmonic for the Radio 4 Easter Sunday Worship. News of their UK tour comes alongside release details for their debut album Stand By Me, due on Friday 26 October 2018. The record features the choir’s rendition of the title track, performed at this year’s Royal Wedding of Prince Harry and Meghan Markle. The record also features distinctive versions of Halo by Beyoncé, All Of Me by John Legend, and Stormzy’s Blinded By Your Grace Part 2. Stand By Me also features Chases, an original track written by members of The Kingdom Choir.